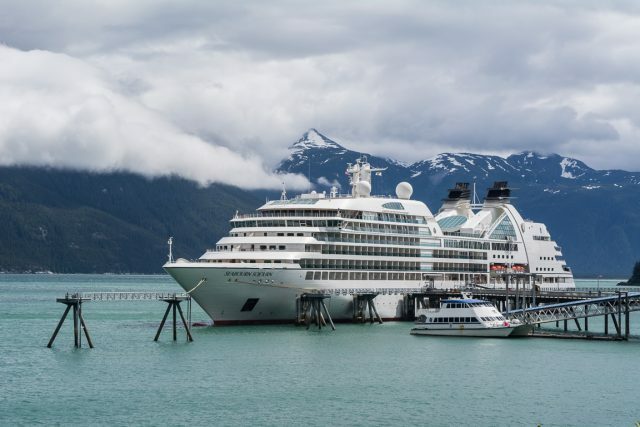 Seabourn is putting adventure at the forefront for its Alaska and British Columbia season this summer with an offering of optional Ventures by Seabourn guided kayak, Zodiac, catamaran, and hiking tours. From exploring Misty Fjords, Holgate Glacier and the Inian Islands by kayak or Zodiac, to hiking Mendenhall Glacier, Rainbow Falls and the Perseverance Trail, all Ventures by Seabourn excursions will be led by an expedition team. The team includes wilderness experts, scientists, historians, and Zodiac operators. Ventures by Seabourn excursions are available for-charge, in select destinations and can be booked in advance by guests. In addition, the line is working with a number of tour operators in Alaska on hiking excursions. Guests can participate in an up-close exploration of America’s Last Frontier. Ventures by Seabourn will be a highlight of more than a dozen 11-, 12- and 14-day itineraries sailed by Seabourn Sojourn from June to mid-October in 2018. Juan Carlos Restrepo, Expedition Leader – With a passion for the great outdoors and adventure, Juan has explored all the continents and oceans of the world. He began his career in the expedition industry as a Dive Master on luxury yachts and then took his love for expedition to the Polar Regions. Chris Srigley, Expedition Leader – Chris spends up to nine months a year on expedition ships, including full seasons in Antarctica and the Arctic. Along with regular duties on the expedition team, he serves as a Polar Bear Guard, advancing landing parties and keeping a watchful eye while guests experience natural wonders around them. Nicki D’Souza, Assistant Expedition Leader – Nicki puts her years of experience and passion for travel to good use assisting guests with shore excursions all over the world. As an Expedition leader with many maiden calls to her name, she has led voyages along the West Coast of Africa, South America, Europe, and Asia. Natasha Hanson, Assistant Expedition Leader / Lecturer – Natasha has guided kayaking and hiking excursions in numerous remote areas of the world. As a general naturalist with over a decade of experience in the Polar Regions, she has shared her knowledge with guests of various expedition ships. Adam Jenkins, Assistant Expedition Leader / Lecturer – Adam has engaged in myriad adventures on the sea, including single-handedly sailing a 27-foot sloop down the Pacific Coast and back up the East Coast to Nova Scotia. He long ago developed a passion for leading expeditions and working with adventure travelers and scientists. Meredith Bass, Lecturer – After several years as a television news reporter at ABC, Meredith joined a Seabourn voyage to Antarctica and South America and found expedition travel to be the platform for in-depth experiences exploring nature and culture. Jennifer Fought, Lecturer – Certified as a Zodiac operator at age nine, Jennifer quickly developed a passion for the natural world and spent her younger years camping, canoeing, and riding horses. With a graduate degree in Structural Geology, she has conducted research from the Sangre de Cristo Mountains of New Mexico to the glaciers of Greenland. Lisa Baldwin, Lecturer – Extremely passionate about the ocean, Lisa is a competitive ocean swimmer, free diver, naturalist, and traveler who enjoys educating others about the natural environment. Her work as a field biologist and passion for health research gives her a unique ability to be open, friendly and relate to guests on all levels. Will Wagstaff, Lecturer – A birder since age five, Will has run his own business leading wildlife walks around the Isles of Scilly, a famous birding area to the southwest of Cornwall, UK. During the off-season, he leads wildlife holidays to other parts of the world and has worked on expedition cruise ships in the Arctic and Antarctica. Brent Houston, Lecturer – Brent’s involvement in wildlife research and polar expedition travel for over 30 years has taken him on over 450 expeditions visiting 100 countries. In 1995 he sailed with the British Royal Navy using helicopters to photograph and document every known penguin colony along the Antarctic Peninsula, discovering two colonies and several landing sites for tourists. Joe Cockram, Lecturer – A birdwatcher since childhood, Joe has a particular interest in seabirds. He has worked on some of Northern Europe’s nesting colonies. His career as a shipboard ornithologist combines his passions as he shares his knowledge to help others experience the incredible varieties of species found around the world. Captain Al Barnard, Zodiac Operator / Naturalist – Alaska-born, Barnard has spent a lifetime working and exploring the waters of Puget Sound, South East Alaska, the Yukon River and Yukon Territory. He has been a member of the Sea Scouts of the Boy Scouts of America since 1957, and currently volunteers as Commodore of Western Region 1, which includes Alaska. Bill Fletcher, Zodiac Operator / Naturalist – A summer job guiding in Alaska sparked Bill’s passion for sharing the wonders of the world. He is currently Senior Director of Destination Marketing at Holland America Line, Seabourn’s sister cruise line, tasked with telling compelling stories of the many places its ships visit around the world. Ross Ellingwood, Zodiac Operator / Naturalist – Ross’s love of adventure has had a hold on him since college. In 2016, he spent six months building a wooden rowing boat in his garage, and then took it on a three-month, 1,100-mile exploration of the Inside Passage Waters. His career has seen him guiding sea-kayaking trips and ice climbing in Alaska.